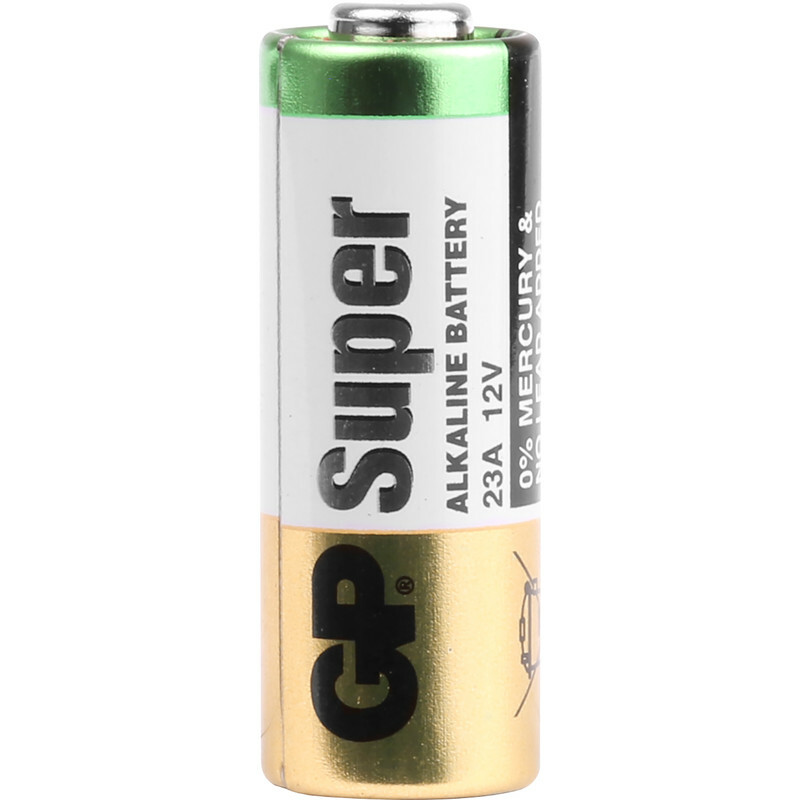 GP Super 23A Alkaline Battery 12V is rated 4.8 out of 5 by 26. Rated 5 out of 5 by Parama from 23A battery Very good battery, I would recommend this battery, it’s excellent and reasonably priced! Rated 5 out of 5 by MalcD from Great price battery Bought this as a replacement for a remote to operate a car park gate. Works fine and price was certainly cheaper than I was expecting. Rated 5 out of 5 by Wwwdotsteve from Just as described Cheapest I could find that were available. Rated 5 out of 5 by Bistokid from As descibed Great price. Good product. Rated 4 out of 5 by jfhm from Bargain Price Bought this for doorbell, working fine so far. Good price.